Receiving gifts made in France is every girl’s dream. A perfect one is a bottle of Ann Gérard perfume. 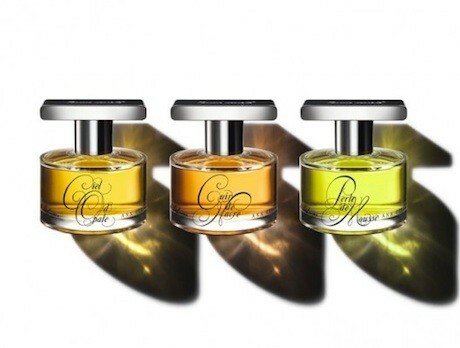 Truly, these are the most interesting, elegant perfumes I’ve come across in years. The names—Cuir de Nacre, Ciel d’Opale and Perle de Mousse—make you realize the unique effort that Ms. Gérard has put forth in creating these three scents. Well known as an elite and bespoke jewelry designer, she began to use her artful eye and intuition last year to create a line of perfumes, each rarer and more interesting than the next. My favorite is Ciel d’Opale, but each of my friends prefers a different one, so you’ll have to try all three to decide. You’ll also want to grab one for yourself. 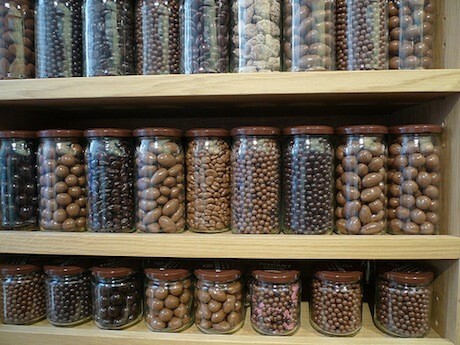 I guarantee that no one back home will have any of these! The Ritz might be closed for renovations, but the beauty and romance of the Place Vendôme lives on. It is perhaps the most elegant place on earth, and this is why you should take your special someone out to a clandestine dinner after the holidays at 1 Place Vendôme. 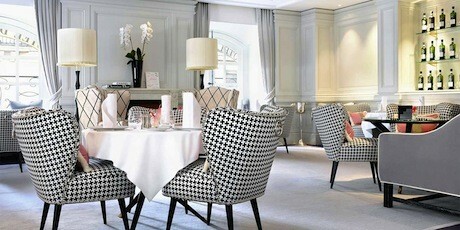 Tucked away on the first floor of the Hôtel de Vendôme, the restaurant is a five-star hidden gem at 1 Place Vendôme. The chef, Marie, specializes in fresh market-sourced menus inspired by what’s in season and constructed with true gastronomic style. A candlelit dinner with a bottle of bubbly will set the mood, and why not pop upstairs to stay for the night as a surprise? Be sure to buy your Chantal Thomass silk lingerie first! Make this night even more special by choosing an item curated especially for lovers. 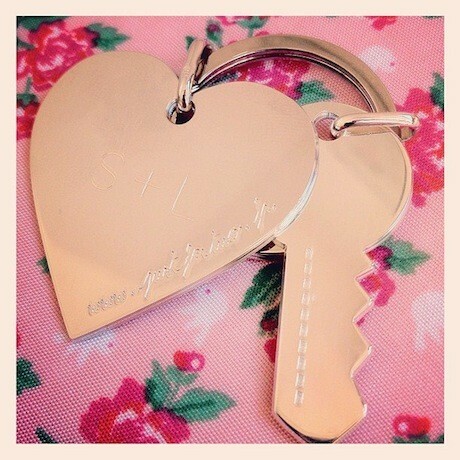 Just for Two is a company we found a few years ago, and if you are a gg2p GO-Card member, you’ll get a special engravable silver-heart key chain when booking one of its packages. This will make a very special gift that you can put under the tree or give for the holidays. Engrave the date, time and location of the rendezvous on the front of the key chain, and the initials of your loved one on the back. Then, in an accompanying card, just tell him to meet you there, which will keep him guessing. This is definitely an ooh-la-la gift. Do you have a couple on your list who has everything? You can’t go wrong by choosing something silver and very special from Christofle, which they will treasure for years to come. I was surprised to find out that Christofle, once the silversmith to French royalty but always au courant, is now doing a line of stunning silver jewelry. But I continue to enjoy the engraved silver serving spoons that I’ve had for years as well as my silver Christofle corkscrew. Each time your friends take out the Christofle gift you gave them, they’ll think of your generosity. For the Most Important Person—You! 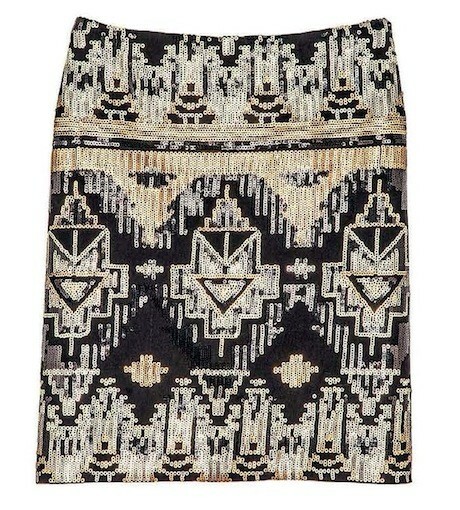 Look stylish at that important holiday fête in this sparkly geometric-patterned skirt by Avant Première from Galeries Lafayette. It costs only 50 euros, so you’ll have money to buy the rest of your last-minute gifts at this grande dame of department stores. Why do I love GL so much? Because you can get everything you need under one roof, which is especially great if it’s rainy or cold when you are trying to finish your shopping, and also because GL gives our GO-Card members a discount of 10 percent, as well as a personal VIP shopper and access to a VIP room. No one else in Paris can get these exclusive package perks. And being a VIP for less is my kind of deal! *Fouquet is a Girls’ Guide partner, and GO-Card members get a surprise gift with purchase. Did you know this article is a sneak peek of our magazine? For more great articles like this one, subscribe to our digital magazine, Girls’ Guide to Paris ET PLUS.